Henan Sankay Trading Co., Ltd.
2. Simple structure, flexible operation and easy to control, 1 people with bag for collecting grains. Our products cover planters, harvesters & processing machinery for wheat, corn, rice, soybeans, potatoes and so on. Located in Zhengzhou, Henan province, our company has 300 staff, of which more than 70% are bachelors and masters. Sichuan Jing Xing Machinery Co., Ltd.
8. Down-forward straw-discharging outlet for straws with shredding mechanism to get straw pieces back to fields. 9. New design of tension frame, Reinforce imported belt structure, avoiding belt being broken and track slip. Our agricultural machinery covers planters, harvesters & processing machinery for wheat, corn, rice, soybeans, potatoes and so on. Linyi Dingyi Power Machinery Co., Ltd.
Main parameter : discharging capacity 40.2cc max. power 1.45kw fuel tnak capaicty 0.95L blad length 255mm n.w. 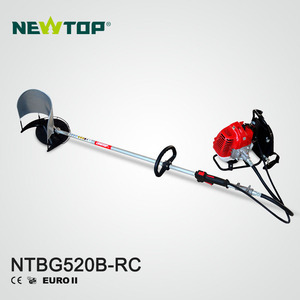 :10kg 1*20 Qty 600pcs About us we have ten years exprience in the area gasoline and related power garden tools , for make you work and after service easily and convenience ,we can provided high quality spare parts. 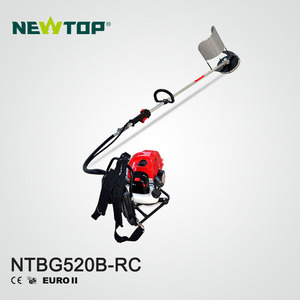 Shanghai Newtop Machinery Co., Ltd. Therefore, the manual harvesting and threshing in villages in mountain areas and rolling countries are really changed to mechanized harvesting and threshing. machine industry standard "Technical Requirements for Whole-Feed Combine Harvester", and all manufactured products meet related standards specified by our country. Some designs are our company's new type research achievements and in the scope of patent . 1 . 16000$ insurance benefit protect our trade and product quality. 16000$ insurance benefit protect our trade and product quality. 4.Where can we buy the machine's parts9 A: Our company can provide machines for your any time . We always choose the most economical and reliable shipping company to make sure you receive the goods in time. T raining and Use 1. We will supply with the machine operation manual in English version for installing and operation. 3. When some problems can&rsquo;t be solved by customers, our engineer can go to door to support. Zhejiang Liulin Agricultural Machinery Co., Ltd.
Luohe HiYoung Machinery Manufacturing Co., Ltd.
1,Rice harvester, mainly used for harvesting rice and wheat, very convenience for farming. 2, Sele-propelled walking type, high and reliable performance, easy operation . 3,Rice and Wheat Harvester can reap, thresh and pack into one bag. 6. Downforward strawdischarging outlet for straws with shredding mechanism to get straw pieces back to fields. 7. Higher ground clearance and Lower ground pressure, better for passing in paddy field. 8. New design of tension frame, Reinforce belt structure, avoiding belt being broken and track slip. Hebei Sino-Agri Beyond Agricultural Equipment Co., Ltd. Welcome to pay a visit to our 4LZ-3. Series combine harvester is designed for wheat and rice harvesting. We supply you overseas engineer guideing and operating service. Welcome to pay a visit to our company to have a professional trainning technical for free. Shandong Gold Dafeng Machinery Co., Ltd.
Dimension: Length: 2130 mm, width: 1070 mm, height: 1160 mm; 2 . Cutting width: 600 mm; 4 . Feeding amount: 0.8-1.2 tons/hour. The Small mini wheat combine harvester price/rice combine harvester is can be driven by the diesel engine and gasoline engine. Now we have designed crawler type small wheat / rice combine harvester, which have good working performance at wet rice field. We also can install driver seat with the small wheat/rice combine harvester to operate more easily. Yancheng Harriston Int'l Co., Ltd.
3. Reaper binder is mainly used to harvest the paddy and wheat. 4. The durable and simple structure can be used in the plain, hills, slopes, small fields, etc. 4. This wheat/rice reaper binder adopts shaft drive, with bigger torque and high efficiency. Zhengzhou Macro Imp. & Exp. Co., Ltd. If you are interested in any of our products or would like to discuss a production solution, please feel free to contact us. We are looking forward to forming successful business relationships with new clients around the world in the near future. 2. How does supplier control quality9 Every product will be fully assembled and carefully tested before it's packed for shipment. It can automatically reap, thresh and pack rice into bags at one time. We can do our best to send machine to your port safe and sound . both us in safe , hope we can do business in safe way . 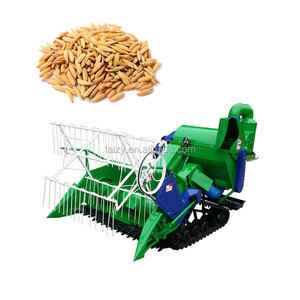 Alibaba.com offers 20,495 machine harvest rice products. About 88% of these are harvesters, 2% are agriculture machinery parts, and 1% are rice. 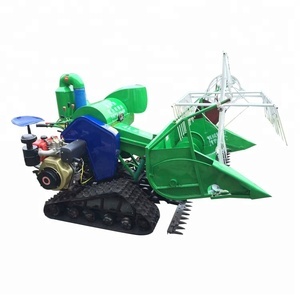 A wide variety of machine harvest rice options are available to you, such as combine harvester, mini harvester. You can also choose from grain harvester, corn harvester, and cassava harvester. As well as from ce, eec. And whether machine harvest rice is paid samples, or free samples. There are 20,484 machine harvest rice suppliers, mainly located in Asia. The top supplying countries are China (Mainland), Vietnam, and Turkey, which supply 99%, 1%, and 1% of machine harvest rice respectively. Machine harvest rice products are most popular in Africa, Southeast Asia, and South America. You can ensure product safety by selecting from certified suppliers, including 4,346 with ISO9001, 1,662 with Other, and 771 with ISO14001 certification.